Here is a nice and easy deal that you can score at Rite Aid starting Sunday, 1/22! 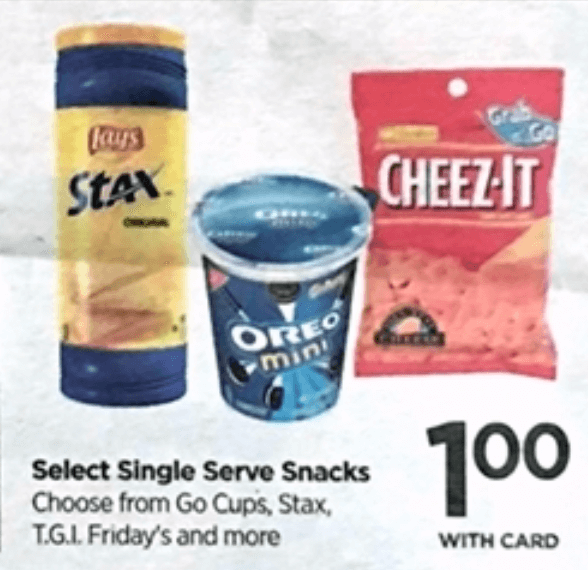 Rite Aid will have select single serve snacks on sale for $1, we will be able to choose from Go Cups, Stax, TGI Fridays and more. 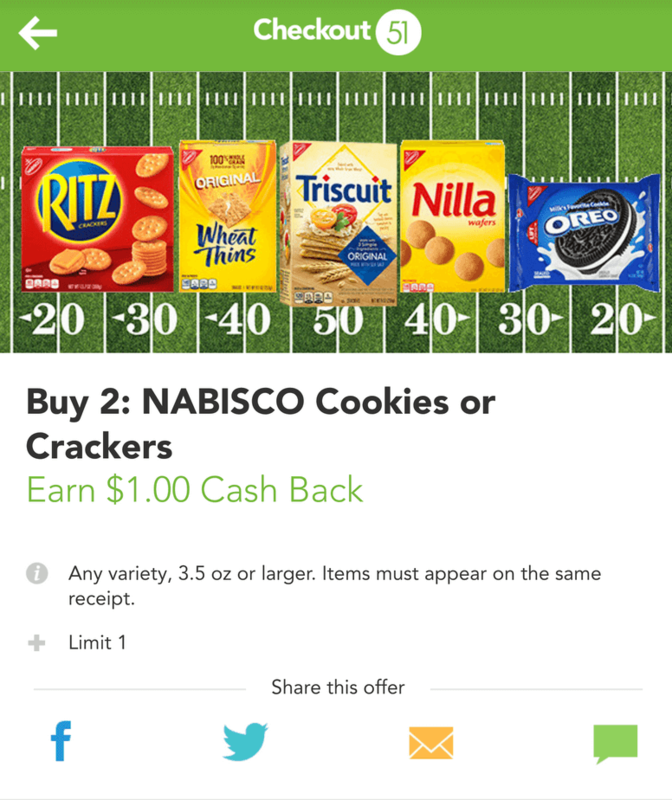 Also available is this $1/2 Nabisco Cookies or Crackers any variety 3.5 oz +, Checkout51 Rebate, exp. 01/25/2017. 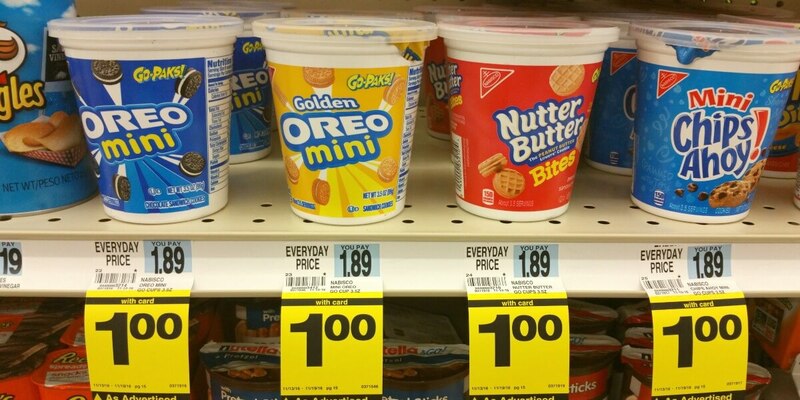 Combining the sale with coupon and Checkout 51 rebate we will be able to score 2 Nabisco Go Cups for FREE! Riceworks Snacks as Low as $1.00 at Weis!